The police are asking for the public's help in finding out more about the victims, Audrey Cook and Donna Prudhomme. The purpose of this press conference is to provide updated information on these cases which have been commonly referred to as the called road homicides. Or the killing fields by the media. 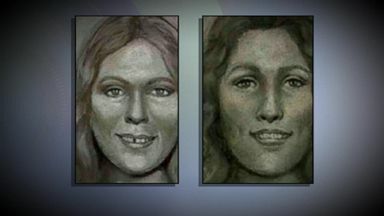 Says the discovery of these victims Jane doe and Janet doe. It not been able to be identified despite years of investigation until now. I'll provide you with a brief history of these cases and let you know what information we have gathered since identity or not are now known. With the information provided today we hope that we new leads and information can be developed that will help bring justice for these victims and their fans. Jane doe has been identified as Audrey leak cook. She was born in November November 25 1955. In Memphis Tennessee. Between the years in 1976 to 81985. She lived in Houston and champion Texas. In 1979. She worked as a mechanic for a golf car company in Houston. In 1980 she wore was for Harrison equipment company and used. And 1980 wan xi war for a balloon a prayer in Houston. At some point she worked as a candidate for national rental car and used it. December 1985 as the last firm share contact whether family members. Associates advised that she sold in use cocaine she is estimated to have been thirty years of age at the firm of her death. Janet doe has been identified as dark prudhomme. She was born on April 23 1957. In port author Texas. Between 1982 to 1985 she lived in the Beaumont for Arthur Texas area. Brown 1986 she moved to Austin, Texas. Around 1988 she moved to the area Seabrook Texas where she lived in several different apartment complexes. In 1990 warned she lived in Nassau bay Texas. We have no information about her appointment. Is believed that shoes of frequent patron fassero all the local bars around the mass road want to Seabrook Texas. She was last seen in July of nineteen I want she is estimated to have been 34 years of agent time for. This previously stated the purpose of this press conferences to seek the assistance of the media and the public. To find more information about order cook in dollar prudhomme. Before the time of their death. We hope that the broadcast of this information will provoke the memory of those who knew her personal contact with Audrey or Donna. And that they can provide information that will be useful in furthering the progress of the investigation these cases. If anyone has information referenced ordered cook for our Prudhoe please contact the league city police department Oracle baseline. To it want. 3388220. The point of contact for these cases lieutenant buffet and if they want from the media wants to set up an interview with them. You may contact or public information officer Kelly Williams and 2815. 41844. To set an appointment. Thanks to the use of genealogy, the public will finally learn the victims' identities after over 25 years of mystery. 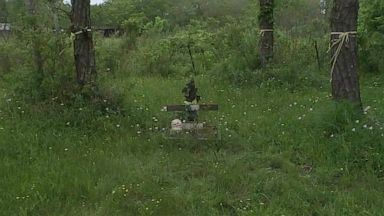 Investigators have spent decades trying to identify the remains of two women found dead in a field in League City, Texas.